To take advantage of the full wideband audio that is offered with the 9600 phones, use the HIS Adapter Cable with your wideband headset. Quick Disconnect (QD) capability allows the headset to detach without losing the call. 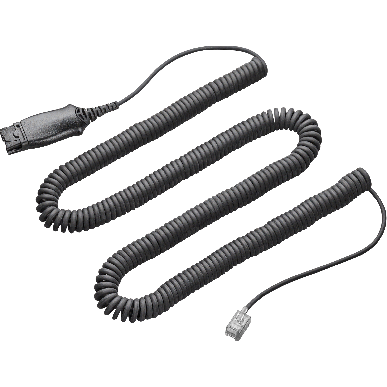 This cord is all that is needed to connect a Plantronics H-Series Headset to many Avaya and Cisco phone models.